O Licenses for car-derived vans? Following on from our previous report of small vans being included under O’licence regulations, we have found out a little more about the proposals. 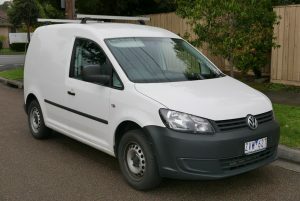 It appears the changes to EU Regulation 1072/2009 will incorporate ‘car derived vans’ upwards, operated for hire and reward. This does throw the cat amongst the pigeons! The financial standing rates will be set at €1,800 for the first such vehicle and then subsequent vehicles at €900. This means you must have sufficient money available to meet your maintenance requirements without the business becoming insolvent. Clearly this can be demonstrated in various ways as it is at present, however it is evident this will impose a sizeable constraint on many UK operators. Whilst the EU has no proposals to include this type of vehicle under the operating centre requirement, the UK will probably do so as this is specific to the UK regulations anyway. Again the change to licences will be enormous as will the workload for the TC’s.